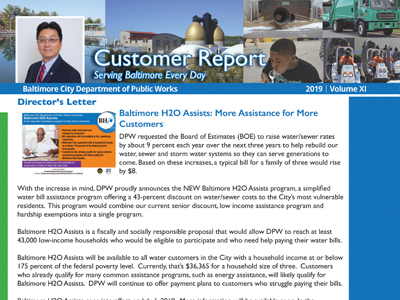 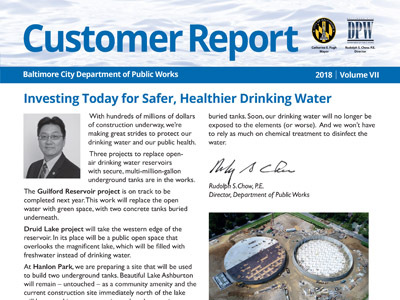 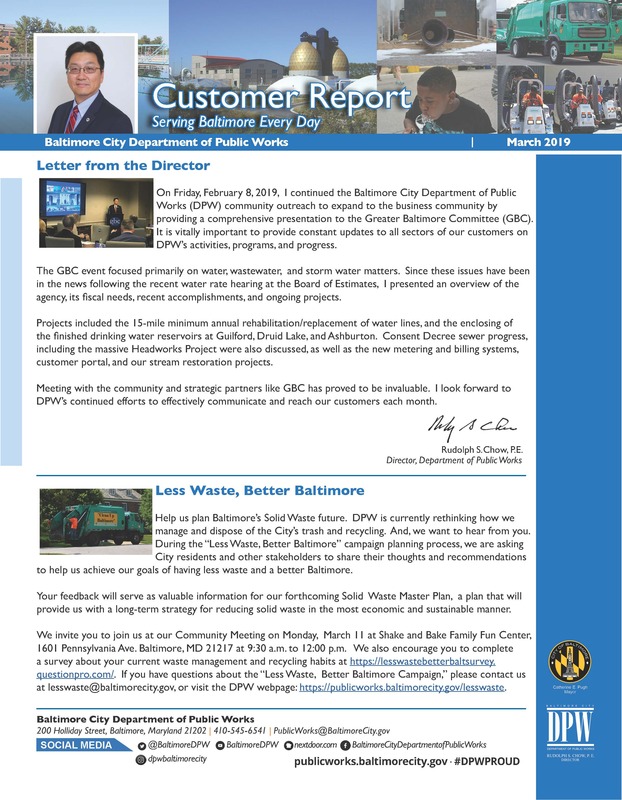 Welcome to Customer Report, the newsletter from the Baltimore City Department of Public Works (DPW). 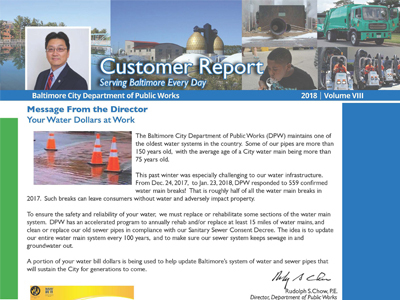 This newsletter lets us provide essential information about DPW initiatives and activities to our citizens. 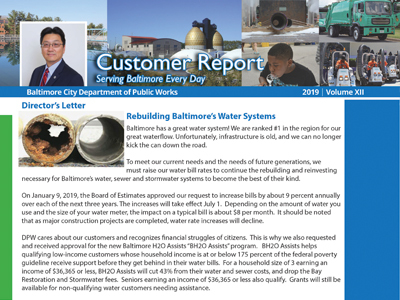 A printed copy of the newsletter arrives with monthly bills mailed to Baltimore City residents.